Ever hear the term “FGC” in gaming and get nervous? Don’t worry this week Cory, Curtis, Jay and Fuller are teaching you everything you need to know to start your path from Brand New to PogChamp. 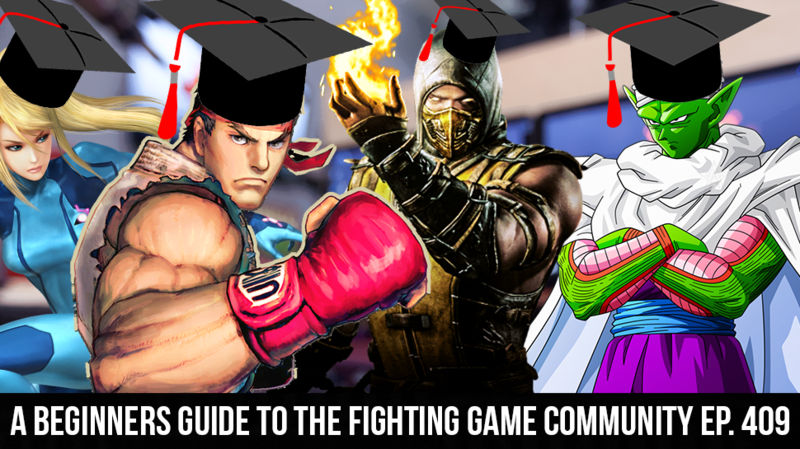 We start off with a little FGC 101, where we give you a run down of what it is and how our panel discovered it. We are even here to help you figure out what some of the slang is. And in the end the crew teaches you how you can get involved! In the news we talk about some new Dragon Ball FighterZ DLC, Dead or Alive 6 shedding its skin of over the top sexuality and the gang celebrates the 10 Year Anniversary of Street Fighter IV. Oh yeah, and Aaron quit the show.